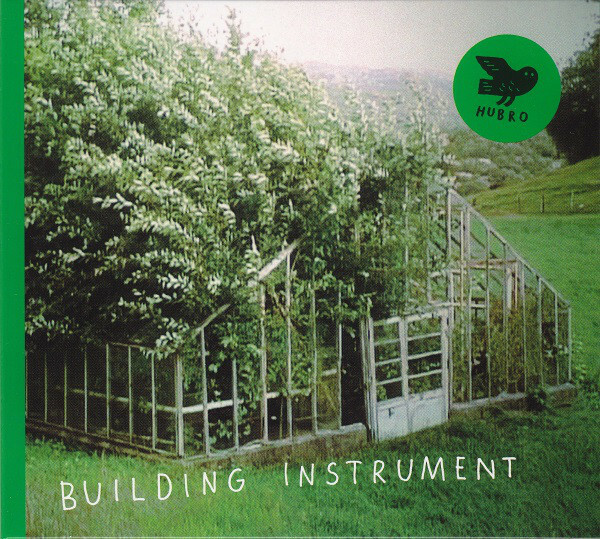 Just over two years have passed since Norwegian trio Building Instrument released their eponymous debut album in March 2014. The album was released to widespread critical acclaim, and great things were forecast for Building Instrument. Since then, Building Instrument have been working on their much anticipated sophomore album, Kem Som Kan Å Leve. After nearly two years, Kem Som Kan Å Leve is completed, and will be released on Hubro Music, on the 2nd of September 2016. Kem Som Kan Å Leve marks a welcome return from the Nordic sonic explorers, Building Instrument. Their story began eight years ago. It was back in 2008, that Building Instrument was formed by Mari Kvien Brunvoll, Øyvind Hegg-Lunde and Åsmund Weltzien. Originally, the three members of Building Instrument planned to make electronic music. That was their raison d’être…albeit briefly. Before long, Building Instrument decided to turn their back on electronic music. After a musical rethink, Building Instrument settled on a very different sound. This time, they decided to make acoustic music, which would allow Building Instrument to improvise and innovate. Having made the decision to change direction, Building Instrument began to practise, honing and shaping their new sound. Gradually, their own unique sound began to take shape. It is best described as genre-melting, with Building Instrument drawing inspiration from various musical genres and influences. Once they had honed their unique sound, Building Instrument began to play live. Each night Building Instrument took to the stage, they took the audience on a magical, musical, mystery tour. One minute Building Instrument’s music is understated, then the next it’s playful. The Building Instrument throw a curveball, and change direction. The next track is totally different, with Building Instrument losing their earlier self restraint, becoming bold as they kick out the jams. As a result, Building Instrument’s music is always innovative, inventive and interesting. Other times, glorious rhythms and melodic music assailed the audience, who were enthralled by veered between emotive and ethereal to compelling and dramatic. Other times, the music was adventurous, bold and always, innovative. However, that wasn’t surprising given Building Instrument’s multi-talented lineup. Building Instrument’s vocalist is Mari Kvien Brunvoll, who also takes charge of an eclectic and interesting selection of instruments. This includes the zither, percussion, kazoo and sampler. Mari Kvien Brunvoll released her eponymous debut album in 2012. She has also worked with many artists during her carer. This includes her collaboration with Stein Urheim on their 2013 album Daydream Twin. It was nominated for a Spellemannprisen in the Open Category in 2013. However, Mari Kvien Brunvoll isn’t the only experienced musician in Building Instrument. So is drummer and percussionist Øyvind Hegg-Lunde. He has been a member of several groups, including Crab Is Crap, the Erlend Apneseth Trio, Glow, Klangkameratane, Strings and Timpani and The Sweetest Trill. The final member of Building Instrument is Åsmund Weltzien, who plays synths, melodica and adds electronics and melodica. Together, the three multitalented members of Building Instrument proved a formidable force. Having laboured long and hard to establish a reputation as a live band, Building Instrument were now familiar faces on Norway’s thriving and vibrant music scene. By then, Building Instrument’s concerts were receiving rave reviews. In the increasingly competitive Norwegian music scene, Building Instrument were regarded as rising stars. Their music was adventurous, inventive, innovative and totally unique. They had forged and honed their own style over the last few years. During this period, they’d worked away, quietly recording their eponymous debut album. In March 2014, Building Instrument was released to critical acclaim. The music was beautiful, cinematic, ethereal, innovative and inventive album of genre-melting music, where Building Instrument push musical boundaries to their limits, and sometimes, beyond It was a captivating album, and one that sonically and stylistically, defied description. Building Instrument combined elements of ambient, avant-garde, electronica, experimental, folk, free jazz, pop, and rock. There’s even a nod to sixties soundtracks and jazz. At the heart of Building Instrument’s sound, was the ethereal beauty of Mari Kvien Brunvoll’s vocal. The result was an album where Building Instrument certainly fulfilled their potential, and in doing so, whetted the listener’s appetite for the followup. Given it had taken Building Instrument six years to release their eponymous debut album, the question was, how long would it take them to release their sophomore album? Building Instrument it turned out, took just over two years to record Kem Som Kan Å Leve, which by todays, standards, isn’t long. Kem Som Kan Å Leve is one of the most anticipated albums of 2016, and finds Building Instrument heading out on another magical musical mystery tour. Kem Som Kan Å Leve. Having released their eponymous debut album, Building Instrument’s thoughts turned to the followup. It took the best part of two years to complete six tracks that became Kem Som Kan Å Leve. The music to the six tracks was composed by Building Instrument, while vocalist Mari Kvien Brunvoll wrote the lyrics and is responsible for the melodies. However, the inspiration for some of Kem Som Kan Å Leve came from the artwork of Kurt Schwitters. During the two year period that Building Instrument were writing and recording Kem Som Kan Å Leve, the trio were commissioned to write music that was inspired by Kurt Schwitters’ artwork. There was a reason for this. In September 2015, a new, and permanent exhibition of Kurt Schwitters’ artwork was being opened at the Henie Onstad Kunstsenter, at Høvikodde, which is on the outskirts of Oslo. To celebrate the opening of the exhibition, a concert had been arranged. This was part of one of the most important events in Oslo arts calendar, the Ultima Oslo Contemporary Music Festival. The week that the exhibition of Kurt Schwitters’ was opened, Building Instrument would record Kem Som Kan Å Leve at the Studio, a hall in the Henie Onstad Kunstsenter. This was fitting. Kurt Schwitter has obviously influenced Building Instrument. He was a German artist, who was born in 1887. Just like the members of Building Instrument, he was truly multitalented. Not only was Kurt Schwitter a painter, but a collage artist, sound poet and installation artist. However, during the thirties, Kurt Schwitter had to flea from the Nazis, and for a while, lived in exile in Hjertøya, in the municipality of Molde. This was a huge coincidence, as Molde just happened to be where Mari Kvien Brunvoll called home. Maybe Mari Kvien Brunvoll had visited the Merzbau building that Kurt Schwitter had built in the stone cabin he rented? Whether she has, it certainly seems like Kurt Schwitter’s work has influenced Building Instrument. an invented language. This was something she did on Building Instrument’s eponymous debut album. It’s also one of Liz Fraser’s trademarks when she was the Cocteau Twins’ vocalist. However, in the case of Building Instrument, they felt that it brought them closer to Kurt Schwitter. A member of Building Instrument remarked: “working with this commissioned piece enabled us to go further in the direction of expanding or erasing the meaning of language, just as Schwitters did with his sound poetry.” It also was another example of Building Instrument’s determination to innovate, and push musical boundaries. That was certainly the case when Building Instrument recorded Kem Som Kan Å Leve. Recording of Kem Som Kan Å Leve took place at The Studio, a hall in the Henie Onstad Kunstsenter. The session began on 11th September, with Jørgen Træen recording and co-producing the album with Building Instrument. Kem Som Kan Å Leve was recorded live. There was no overdubbing. This is unusual, as most groups are repair any ‘mistakes.’ However, when Building Instrument began recording Kem Som Kan Å Leve it was just like one of their live shows, as they improvised and headed in unexpected directions. To do this, Building Instrument deployed an array of eclectic instruments and effects. Vocalist Mari Kvien Brunvoll played percussion, zither, kazoo and took charge of live sampling and effects. Åsmund Weltzien played synths and added electronics. Drummer and percussionist Øyvind Hegg-Lunde was responsible for the album’s heartbeat. After four days of recording, Kem Som Kan Å Leve was completed on 14th September 2015. Building Instrument had played their part. Now the album could be mixed and mastered. The process began in January 2016. Four of the tracks were mixed at Grotten Studion by Bergen Kjøtt. He then mixed Like God å Leve and Taket at Broen Studio. However, when Kem Som Kan Å Leve was to be mastered, Bergen Kjøtt returned to Grotten Studion. Once the mastering was completed in February 2016, Building Instrument’s much-anticipated sophomore album was almost ready for release. Nearly seven months later, and Kem Som Kan Å Leve will be released by Hubro Music on the 2nd of September 2016. Kem Som Kan Å Leve marks the welcome return from Building Instrument, who now are regarded as one of the most exciting and innovative Norwegian bands. They provide you with six compelling reasons why on Kem Som Kan Å Leve. Opening Kem Som Kan Å Leve is Collage. The introduction is understated, dreamy and melodic. Soon, though, percussion, drums and a spoken word sample are added. There’s almost a hip hop influence. That’s until a church organ meanders in. It replaces the sample, provides a contrast to the mesmeric percussion and drums. Adding another contrast is Mari Kvien Brunvoll’s dreamy vocal. It almost floats across the arrangement, reminiscent of Liz Fraser. Then when the vocal drops out, washes of organ increases in volume and combines with the zither. Again, contrasts abound. Later, when the vocal returns, the volume of the organ decreases leaving space for Mari Kvien Brunvoll. Her ethereal vocal is panned right, while the organ, drums and percussion accompany her. Together, they create a dreamy, ethereal and melodic Collage that’s a tantalising taste of what’s to come from Building Instrument. Sound effects are panned right on Fall, while keyboards, drums and then the zither are added. They may sound like unlikely bedfellows, but provide interesting contrasts and work well together. Suddenly, the drum drops out and Mari Kvien Brunvoll delivers a heartfelt vocal. She’s just accompanied by the zither, before the drums return. Soon, though, the vocal drops out, and the zither chimes, while the pitter patter of drums are joined by keyboards and percussion. Then when the vocal returns, Mari Kvien Brunvoll’s plaintive cry is full of emotion, before later becoming impassioned and sincere. All the time, instruments are swapped in and out, the arrangement veering between understated to a much fuller sound. This provides the perfect accompaniment to the vocal, on what’s a beautiful and captivating track, full of subtleties, surprises and nuances. Rett Ned meanders into being, the understated arrangement crackling, reminiscent of old, worn vinyl. Meanwhile, Mari Kvien Brunvoll tenderly, before her vocal grows in power. It’s cocooned in effects, giving it a dreamy quality. Accompanying the vocal are an organ and crisp drums. Still, Mari Kvien Brunvoll’s vocal is bather in effects as it floats across the arrangement. When the vocal drops out, drums, percussion, keyboards and the zither combine. Later, when the vocal returns, it’s dubby, dreamy and lysergic. The arrangement is slow, meandering and multilayered. Contrasts abound, as elements of ambient, avant-garde, dub, electronica, experimental and indie pop are combined. Together they create a lysergic and dreamy modern day chill out track. There’s almost an industrial influence as Farge Tida Sakte unfolds. There’s also a Faustian influence as washes of synths add an otherworldly sound. Soon, drums crack, scamper and skip across the arrangement. Meanwhile, the zither is added to this genre-melting musical feast. So is Mari Kvien Brunvoll’s vocal. Again, it’s bathed in effects, while effects are added to parts of the arrangement. Only the drums and zither are left untouched. Later, the sing song vocal grows in power and emotion, as it floats across the arrangement. That’s until the arrangement is stripped bare, and begins to rebuild. When it does, the vocal, drums, zither and kazoo combine. This results in an arrangement that’s variously hypnotic, ruminative and spacious as it floats and meanders along. It washes over the listener who bathes in its ethereal beauty. Washes of synths meander and float across the arrangement to Like God å Leve. Soon, clip clop percussion and a bass join Mari Kvien Brunvoll’s impassioned, powerful vocal. Later, the vocal is swathed in effects becoming dreamy. That is only briefly. The earlier power returns, as synths, percussion, drums and a bass combine. Playing an important part in the arrangement are the synths. They add a cinematic sound, while Mari scats. Then when her vocal drops, out washes and waves of gently cascading synths play an important part in this dreamy, ethereal and hypnotic soundscape. All too soon, Kem Som Kan Å Leve is over, as Taket closes the album. Synths, keyboards and subtle drums provide a backdrop for Mari Kvien Brunvoll’s cooing, ethereal vocal. It quivers, shivers and shimmers, before the improvised vocal gives way to an impassioned, emotive pleading vocal. By then, the arrangement features just occasional drums. Given its quality, Mari’s vocal deserves to take centre-stage. Later, keyboards synths and drums accompany Mari, as she revisits her earlier cooing, ethereal vocal. When it drops out, the baton passes to the keyboards, and they continue to create an ethereal backdrop, which provides a poignant ending to Taket and indeed, Kem Som Kan Å Leve. Just over two years after the release of their critically acclaimed, eponymous debut album, Building Instrument return with Kem Som Kan Å Leve. It’s the much anticipated sophomore album from Building Instrument. Not only has Kem Som Kan Å Leve has lived up to the expectation, but surpassed it. Quite simply, Kem Som Kan Å Leve is one of the best albums of 2016. 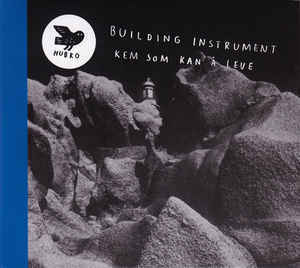 Building Instrument have used their 2014 eponymous debut album as a building block, and have gone much further on Kem Som Kan Å Leve. They continue create inventive and innovate music, that’s ambitious and adventurous. That music is also beautiful, dreamy, ethereal, hypnotic and melodic. Partly, that is because of Mari Kvien Brunvoll’s vocal. She switches between the Molde dialect, and an invented language that only she can understand. That doesn’t matter. Mari Kvien Brunvoll’s vocal is similar to Liz Fraser when she was with the Cocteau Twins. It has a similar calming, dreamy and ethereal quality. That ethereal beauty plays a huge part in the sound and success of Kem Som Kan Å Leve. However, Mari’s vocal can’t exist in isolation. So the rest of Building Instrument, plus Mari Kvien Brunvoll combine to create the perfect accompaniment to the vocals. Synths, crisp drums, a myriad of percussion, the unmistakable sound of the zither and of course, an array of samples and effects. These effects are used effectively throughout Kem Som Kan Å Leve. Sometimes, it’s the vocal that’s bathed in effects; while other times, it’s parts of the arrangement. Each time, it proves hugely effective in this career-defining, genre-melting album. Just like on their eponymous debut album, Building Instrument combine disparate musical genres. Elements of ambient, avant-garde, electronic, experimental, folk, indie pop, improv, industrial and jazz. It’s a captivating fusion of musical genres and influences. These influences include Kurt Schwitter a painter, but a collage artist, sound poet and installation artist. On Kem Som Kan Å Leve, Building Instrument followed in the footsteps of Kurt Schwitter. Building Instrument: “go further in the direction of expanding or erasing the meaning of language, just as Schwitters did with his sound poetry.” This was an ambitious project, but the results are fascinating and captivating. They can be heard on Kem Som Kan Å Leve, which finds Norwegian sonic explorers at their inventive and innovative best. Kem Som Kan Å Leve is Building Instrument’s musical Magnus Opus, which features six soundscapes that are ambitious and adventurous, but also beautiful, dreamy, ethereal, hypnotic and melodic. ← ARTHUR BLYTHE-LENNOX AVENUE BREAKDOWN, IN THE TRADITION, ILLUSIONS AND BLYTHE SPIRIT. I really love the Hubro label. The jazz trio Moskus is especially a treat. Hubro Music is a fantastic label, who consistently release fantastic music. Hope you enjoy the forthcoming Building Instrument album.